If “all the youth of England are on fire,” as the first speech of Henry V’s Act II declares, then all the Porters of Hellsgate have carried the torch forward with guns blazing. Without a doubt, this is the Porters’ finest stage work to date and a testament to the kind of theatre magic that can be created out of thin air by the willing and able. Here in the confines of their black box space they conjure battles and formidable location changes (vasty fields of France anyone?) not normally able to be contained on any stage, let alone in an intimate theater like the Whitmore. Shakespeare knew that and gave his actors a solution in the form of his Chorus; a one-man narrator who entreats the audience to engage their imaginations and envision the scenes he and the other characters will set before them. In The Porters’ version it is Leon Russom who functions in this go-to capacity. Russom handles the task with aplomb, clearly translating for the audience what has just transpired and what is about to take place with a calm familiarity that makes the audience come to him, and more importantly, understand him. To do that with any audience is an accomplishment but when an actor can hold the attention of a school group of thirty students in this kind of small space, it is a laudable. It helps that the leader of this band of brothers is played by Charles Pasternak, a role familiar to the actor, who not only directs the production but leads The Porters as their artistic director. They are well-served here for the boy who would be king has grown into a magnificent Henry. The intensity and range Pasternak brings to some of Shakespeare’s most memorable speeches is astounding, making his performance a character study for anyone who may wish to take on the role at a future date. You’d expect that his “Once more unto the breech” monologue would be a powerful high point and in that you’ll not be disappointed. Nor will you want for divine inspiration in his St. Crispin’s Day speech, which rouses his hesitant men on into the David & Goliath battle of Agincourt so thoroughly that you may find yourself ready to rise from your seat and join them. Yet it is alone on the stage during his “Upon the king!” soliloquy that Pasternak reveals his real brilliance. 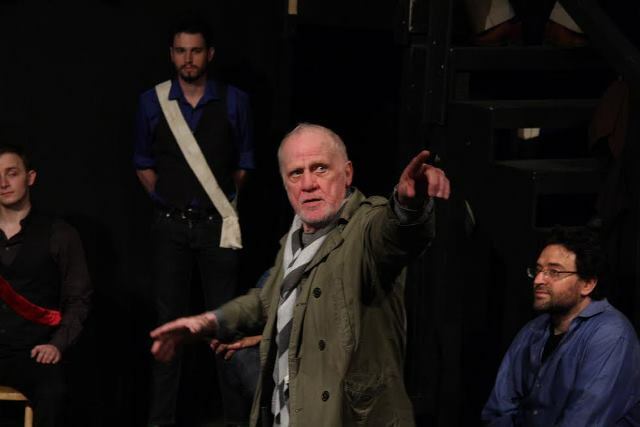 Perhaps it is the intimacy of the theater that seems to magnify his appeal but there is no doubt that this charismatic actor has burrowed into the very heart and soul of a complex king and ripped open his own in the process. It is award-worthy work and well-deserved. The Porters’ rank and file have also never been as potent as they are in this production. 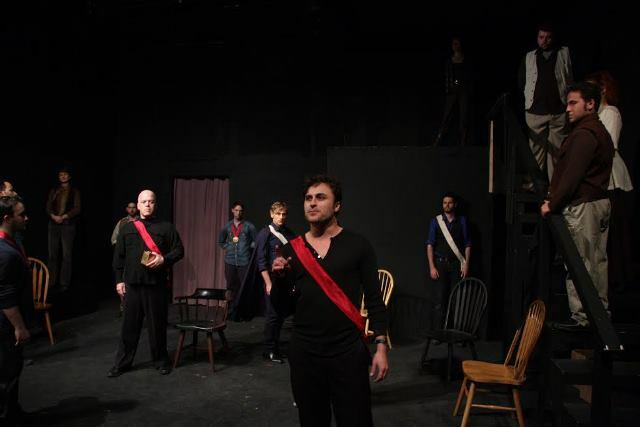 Drama is their strong suit and there are many outstanding performances among the fine cast, such as Alex Parker’s hotheaded pillar of confidence, the Dauphin, Christine Sage (Boy), Ted Barton (Duke of Exeter), Sean Faye (Gower) and Timothy Portnoy (Nym). Jamey Hecht makes easy work of the Archbishop of Canterbury’s text, which can lose an audience in less skilled hands owing to the number of words it takes him to say what he has to say. Cynthia Beckert’s Fluellen all but wipes the floor with her scene partners, especially Thomas Bigley (Pistol) who gets the worst end of the leek in one particularly hilarious scene. Owning a small role may not be as glamorous as being king but when Jesse James Thomas (MacMorris) and Michael Mitchell Hoag (Jamy) join Beckert in a three-way Irishman, Scotsman, Welshman heated exchange in Act III, the satisfaction is in the laughter, with Hoag gumming a 60-word line of text without taking a breath that is every bit worth the effort. Eliza Kiss has also never been better, portraying the French princess Katherine in two comic scenes; one of which allows Pasternak to add “charming” to his many previously mentioned qualities. Dana DeRuyck’s dialect expertise is used to good purpose in these scenes especially. The production design is minimalist at every level, from the suggestion of character in Jessica Pasternak’s costumes, to Nick Neidorf’s well-chosen sound effects, to the efficiency of Sterling Hall’s lighting. 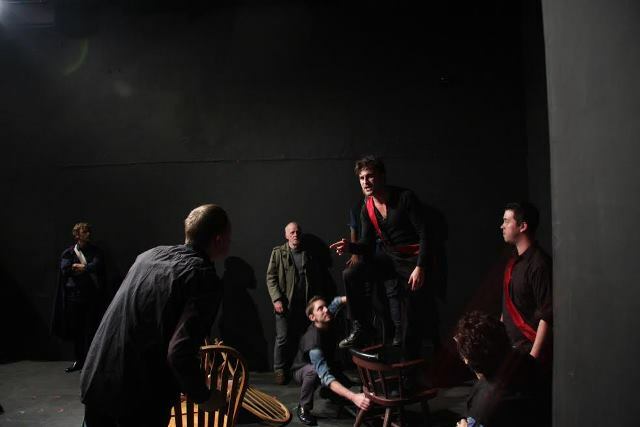 And in keeping with the Chorus’ earlier request that the play spark the audience’s imagination, the actors remain on stage in a ring of chairs or positioned along the wall watching the action along with the audience. That in itself creates an intensity you can feel in the air. 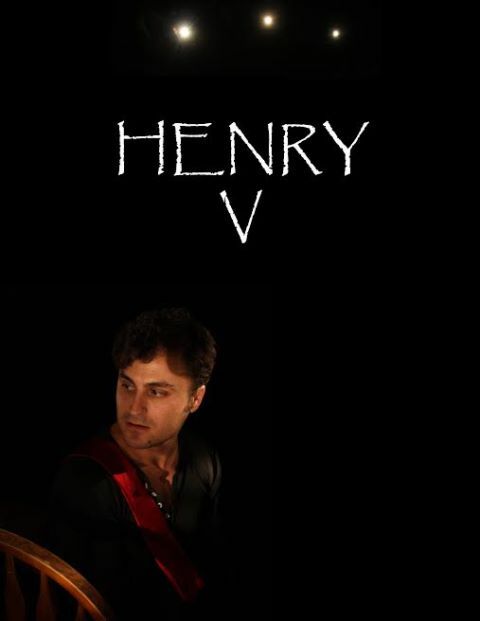 Henry V is a triumph for the Porters who have taken up the mantle of history and elevated their own place in LA theatre with this production. Well done, I say, well done all. 11006 Magnolia Blvd, North Hollywood, CA 91601. Running time: approximately 2.5 hours with one intermission.